The Tamil Nadu government has sought the dismissal of the petition challenging the Tamil Nadu Pollution Control Board's decision to shut down the Sterlite Copper smelter. In a 30-page objection filed before National Green Tribunal (NGT) over Vendanta's Sterlite Copper plant in Thoothukudi, the Tamil Nadu government has sought the dismissal of the petition challenging the Tamil Nadu Pollution Control Board's decision to shut down the Sterlite Copper smelter. The state government has blamed the 'illegal conduct' of the unit for contamination of the groundwater, air and soil. It said that even the primary components of Effluent Treatment Plant were not in operation. The Tamil Nadu Pollution Control Board had refused to renew the licence issued of Vedanta Group's copper plant in Thoothukudi following the protests and subsequent deaths. In its submission before the NGT, the state government pointed out that several complaints were made by the residents residing within the vicinity of the copper plant alleging that there has been an alarming increase in the number of persons being diagnosed with cases of asthma, pharyngitis, sinusitis, asthmatic bronchitis and other respiratory tract infections, which according to them were caused due to the harmful gases and particulate irritants emanating in the lower atmosphere. It added that effluents from the plant left high concentrations of copper, lead, cadmium, arsenic, chlorides and fluorides in the groundwater. 2. Primary components of ETP, RO were not in operation and hence the unit has not maintained Zero Liquid Discharge properly and effluent has been discharged. 3. Sulphuric acid tanker washing stagnated in the drain without pumping to the ETP. 4. Copper slag dumped/stored along the river Uppar near the bridge in NH of Tirunelveli -Tuticorin. 5. Dust emission spreading to Atmosphere from copper revert screening section and convertor roof section without going into air pollution control measures and fugitive emission from rock phosphate handling area, and gypsum storage noticed. 6. Nose irritation was observed near FGDS (Flue Gas Desulphurization system) area due to spreading of SO2 gas escaping from the scrubber. 7. Authorization issued to the unit on 10.07.2008 was expired on 09.07.2013 and the unit has not obtained Authorization under Hazardous and Other Waste (Management & Transboundary Movement) Rules, 2016. 1. Ground water analysis report taken from bore wells within the unit premises as well as surrounding areas has not been furnished to ascertain the impact on ground water quality. 2. The unit has not removed the Copper slag dumped/stored along the river Uppar and patta land, thereby obstructing the flow. It has also not constructed any physical barrier between river Uppar and slag land fill area of patta land so as to prevent slag from reaching the river. 3. Authorization issued to the unit on July 10, 2008, got expired on July 9, 2013 but the unit continues to generate & dispose the Hazardous waste without valid Authorization under Hazardous and Other Waste (Management & Transboundary Movement) Rules, 2016. The application submitted by the unit was returned for want of additional details and the unit has not resubmitted the same. 4. As per renewal condition, the unit should have analyzed the parameters of heavy metals such as Arsenic in the ambient Air through Board's laboratory as done for the other parameters such as NOx, PM10 and SO2. As the Board Laboratory does not have this facility, the unit should have engaged the services of MoEF & CC/NABL accredited laboratories and furnished report to Board. The unit has not complied with the same and as such there is no authenticated reporting on the presence of Arsenic in the ambient air. 5. During the inspection on 22.02.2018, the unit has been directed to construct a Gypsum pond as per CPCB guidelines. But the unit has not complied till March 31, 2018. However, Vedanta Chairman Anil Agarwal had earlier not only denied allegations of environmental pollution but also claimed that protests were being orchestrated by anti-developmental activists. Agarwal had told BusinessToday.In that his company had invested more than Rs 500 crore in environmental protection measures which is among the highest spend by any industry standard. "We have the confidence to undergo scrutiny by any technical committee and prove to the people that all the allegations related to health concerns were done with mala fide intentions," Agarwal had said. 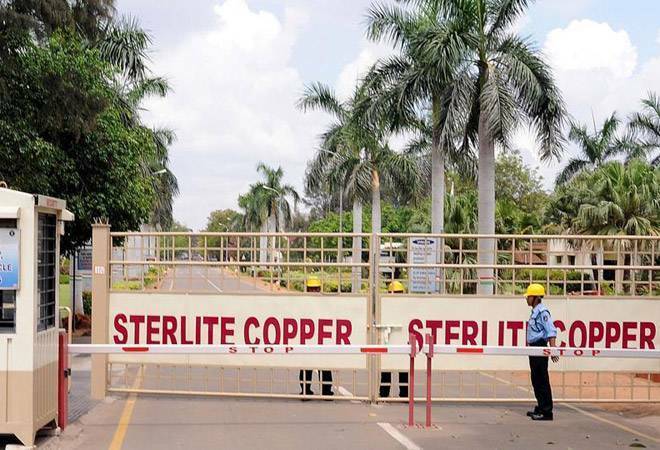 "It is worth noting that Sterlite Copper has been subject to various stringent regulations like zero liquid discharge wherein not a single drop of waste water can be let out of the company premises whereas various other industries are allowed to let out their effluents," Agarwal had told BusinessToday.In. Sterlite Copper CEO P Ramnath had also told BusinessToday.In that the unit had been complying with the factors cited by the pollution board. "They (board officials) have themselves been visiting the area on monthly basis and taking samples of groundwater," he had said. On allegations that industrial waste from the plant has increased cancer cases in the region, Ramnath added, "These are unfounded rumours that are being propagated. The plant has been operating for the past 20 years. There are families who live just half a kilometre away from the plant. They are proof that there is nothing wrong with the plant." The closure of the Sterlite Copper plant will not only hurt one third of domestic supply but will also cost India around $2.8 billion in forex annually. As Vedanta's copper smelter serves over 800 small and medium enterprises, over 32,500 direct and indirect jobs could be affected. The decision to shut down the plant would make India a net importer of copper.